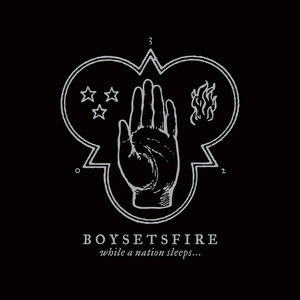 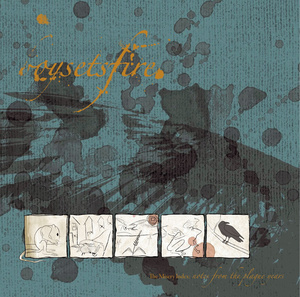 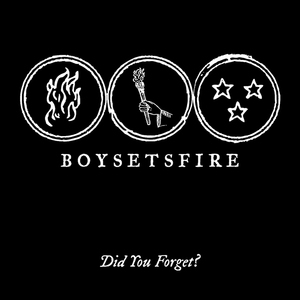 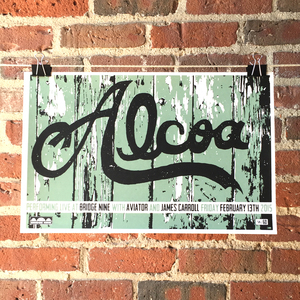 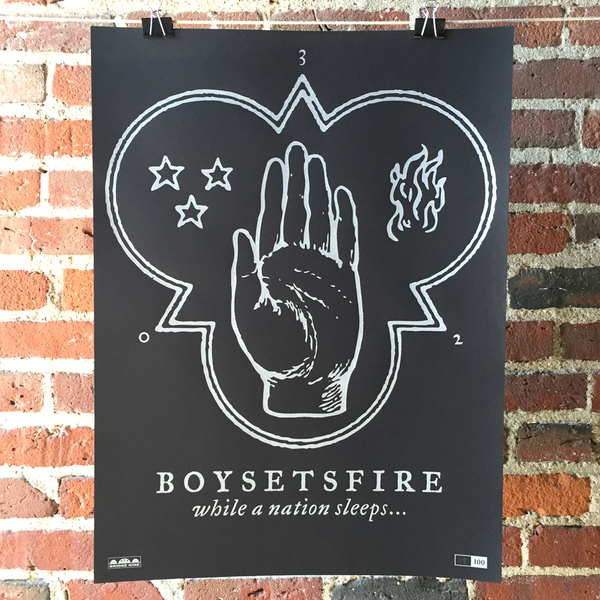 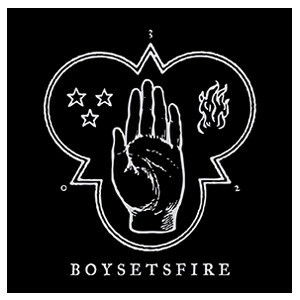 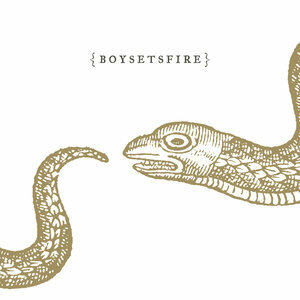 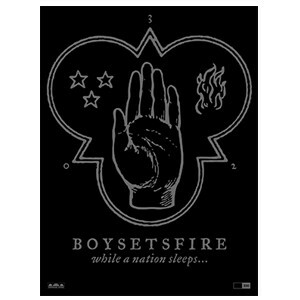 18"x24" screenprinted poster of Boysetsfire 'While A Nation Sleeps'. 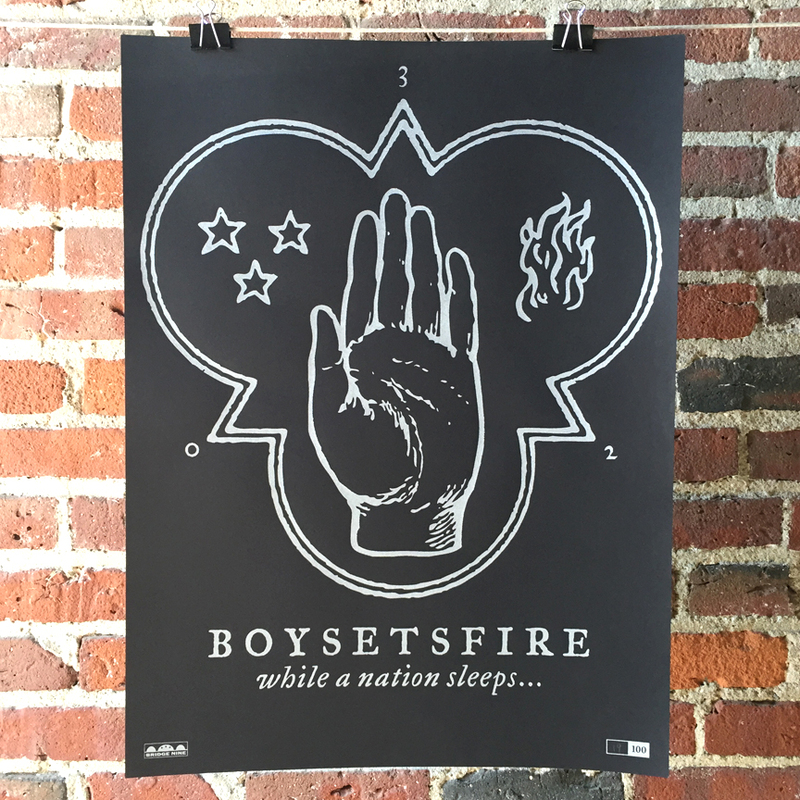 Metallic silver ink on thick black stock. 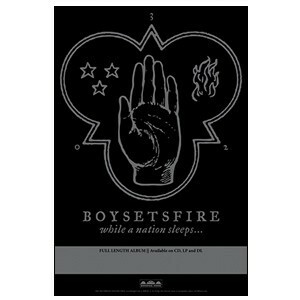 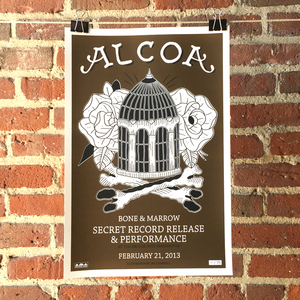 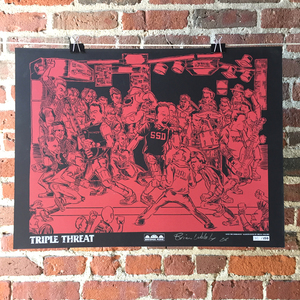 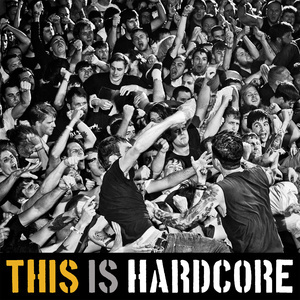 Hand numbered and limited to 100. 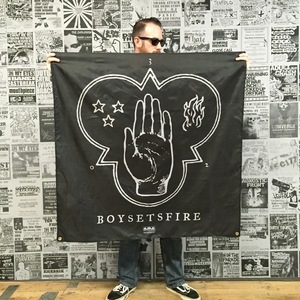 This comes with a heavy duty poster tube.